Sushi is always fresh...large selection options for rolls. 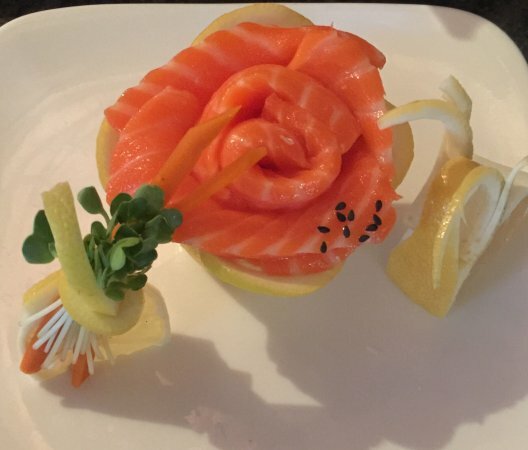 Service is quick for Sushi. Atmosphere is that of a typical sushi lounge...large sushi bar and adequate amount of tables. Had grate meal but service was a little slow. 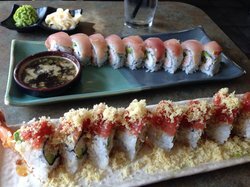 My wife and I enjoy the food.They have a number of sushi choices You can seat at the sushi bar or get a table. 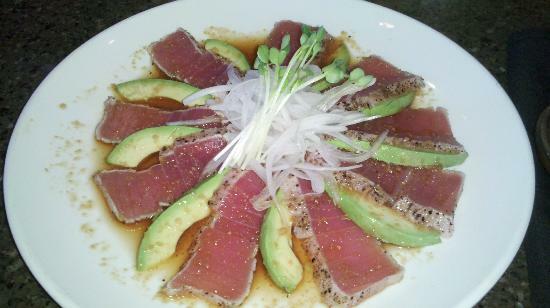 Other then sushi, they offer a variety of dishes. I am a vegetarian and they have plenty of options to keep me coming back everytime I'm in town. The Double Crush is super and they have a great cucumber salad. The homemade mud pie is great to share. Everything tasted fresh. I enjoyed the TSUNAMI and the LEMON AID rolls. The Mini Ahi Taco with the crispy won ton shells were fun to try. We went back there on my birthday. Pricing is reasonable. Fresh seafood and rolls, but had issues when asking them to not add seeds (highly allergic) and then they ended up adding seeds anyway...3 times now. 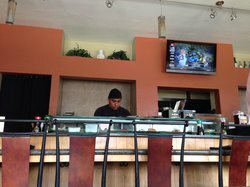 Get quick answers from Poway Sushi Lounge staff and past visitors.